<center class="t091105">Photo shows a customer purchases the World Expo souvenir. With the opening of Shanghai Expo, the sales of Expo souvenirs are getting hot in Lhasa, capital of Tibet. 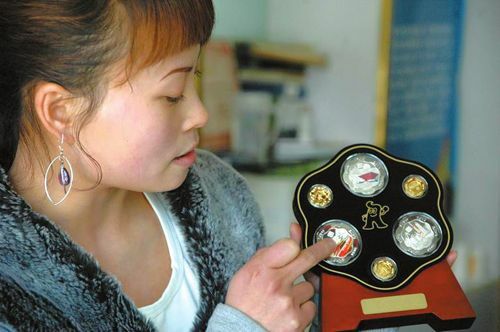 A seller in Lhasa Yinqiao gold coin sales company said:" Most of the customers buy the souvenirs for memorial collection."